Sen. Ted Cruz shared a notably personal story today about his parents' struggles with alcohol and his father's decision to leave him and his mother when Cruz was 3. Speaking at the Value Voters Summit in Washington, Cruz, R-Texas, told the group that while living in Calgary, Canada, his mother and father had a drinking problem, and Cruz's father, Rafael, ultimately abandoned him and his mother. "Both of my parents drank far too much. Both of them had serious problems with alcohol," Cruz, 43, said. "When I was 3 years old, my father decided he didn't want to be married anymore and he didn't want a 3-year-old son, so he got on a plane and left." The Texas senator said his father then moved to Houston and explained it wasn't until his father found Christ that he decided to return to his family. "He gave his life to Jesus," Cruz said, describing a visit his father made to a church. "And he went and bought an airplane ticket and flew back to Calgary to rejoin my mother and to rejoin his son. So when anyone asks is faith real, is a relationship with Jesus real, I can tell you, if it were not for my father giving his life to Christ, I would have been raised by a single mother." Cruz didn't say how long his father was away. 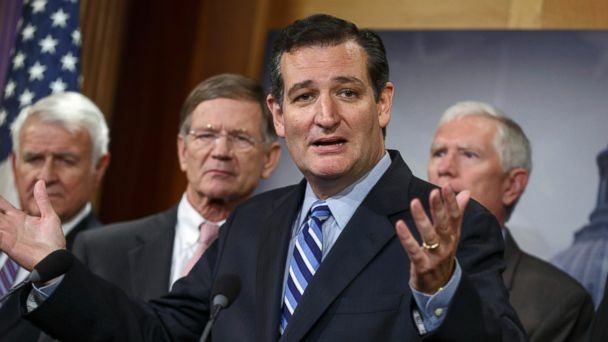 The comments offered a rare glimpse into a troubled period in Cruz's young life. His father, who is now a minister, often speaks at conservative gatherings across the country.